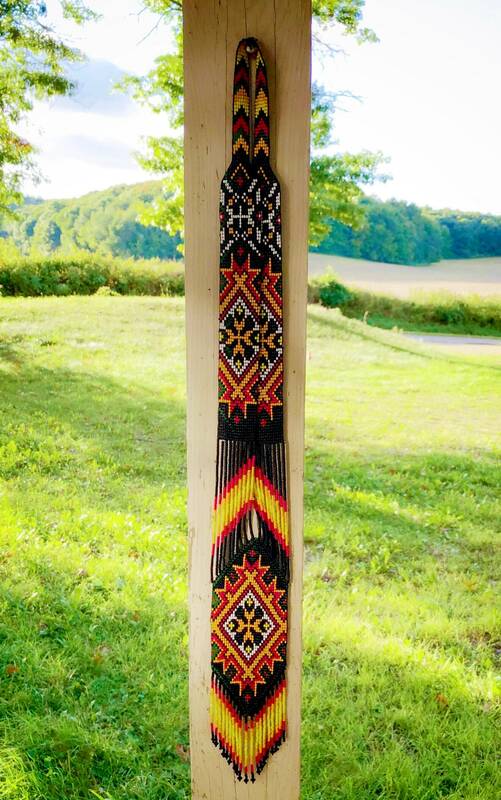 Native American handmade beaded jewelry set. 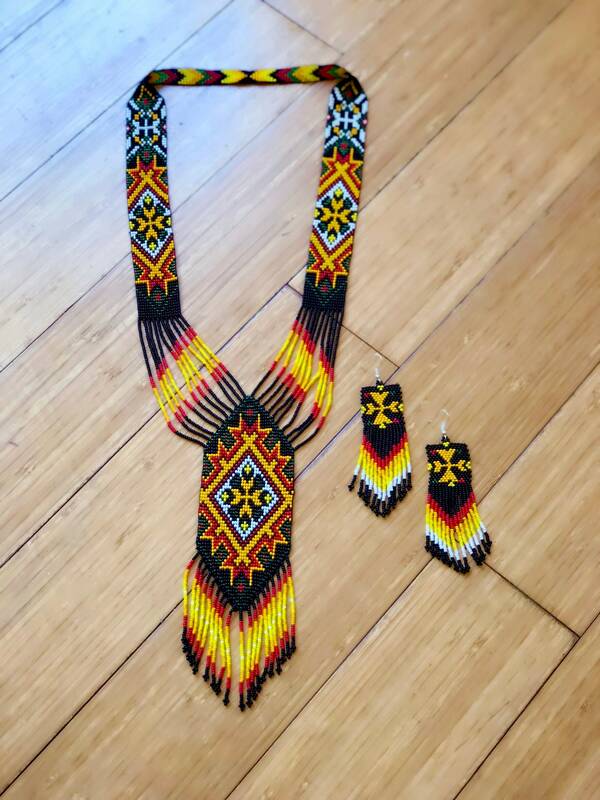 This set includes a butterfly design necklace and matching earrings. 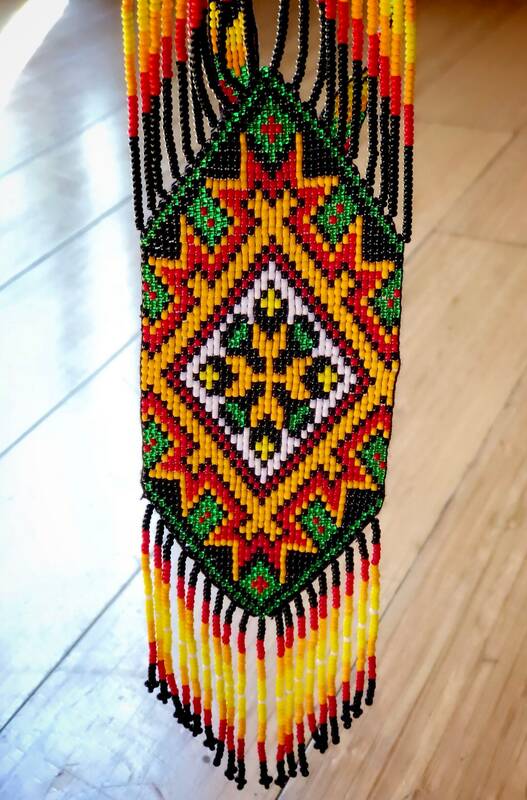 Necklace 35” in total beaded length and hangs between 18-19” down. 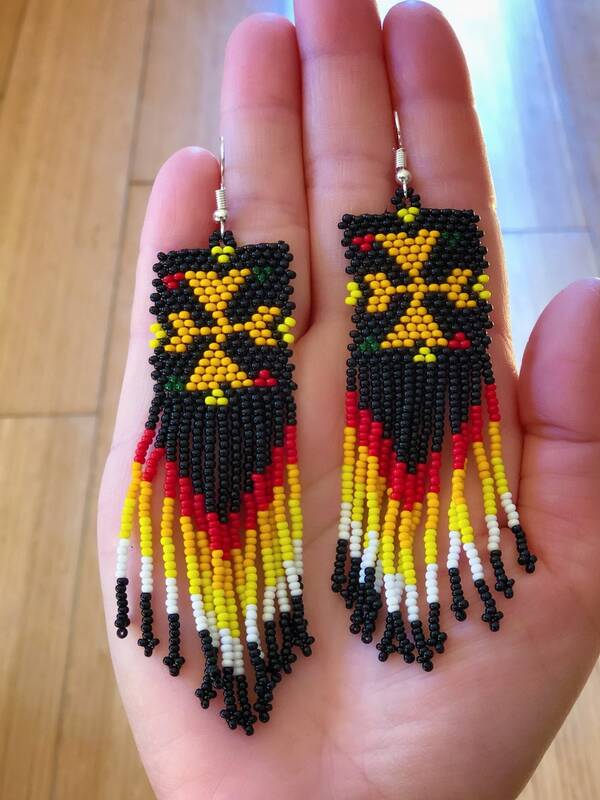 Earrings are 3.5” in beaded length by 1” wide.